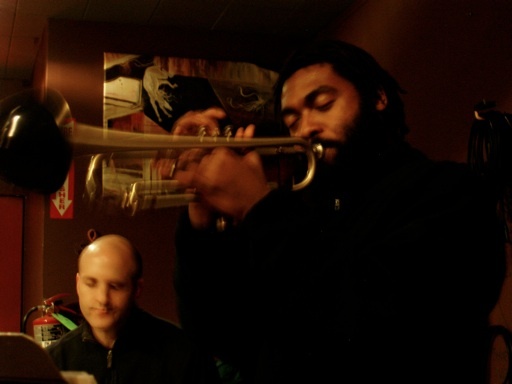 Forbes Graham is a composer, trumpet player, and electronic musician currently based in the Boston area. He has appeared on over 30 recordings, including studio appearances on such labels as Metal Blade, Tzadik, and Troubleman. Forbes has performed and recorded with a very diverse group of artists, including Erase Errata, Rakalam Bob Moses, Steve Lantner, Daughters, Raqib Hassan, Jim Hobbs, The One Am Radio, and Luther Gray. His composition "Variations on the Fibonacci Sequence" was commissioned by the Greenwall Foundation and world premiered at the 2007 Festival of New Trumpet. Forbes has also written music for the new music/rock ensemble Normal Love. He has appeared at numerous festivals including High Zero and The Wire's Adventures in Modern Music. His work incorporates many genres including drum n' bass, jazz, contemporary classical, noise, and hip-hop. 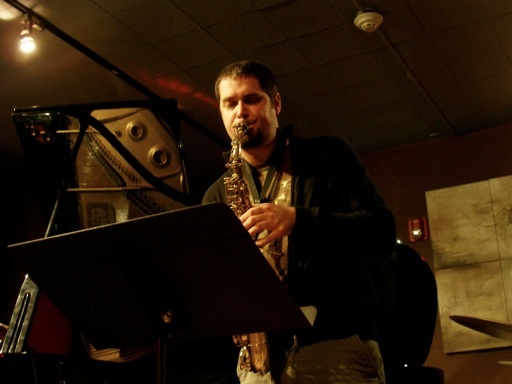 Dave Rempis has emerged, over the past few years, as one of the most active young players on Chicago's improvised music scene. His work with the Vandermark Five has been noted in the Chicago Sun-Times, the Chicago Tribune, the Chicago Reader, the Philadelphia Inquirer, and Down Beat, as well as the Boston Globe, in which noted jazz critic Bob Blumenthal referred to him as the band's "primary firebreather." It has also given him the opportunity to perform extensively in clubs, concert halls, and festivals throughout the U.S., Canada, and Europe. 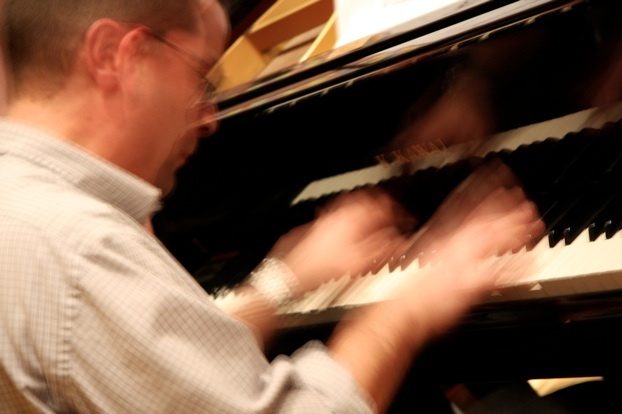 His own work, most intensively with Triage (with Jason Ajemian and Tim Daisy) and The Rempis Percussion Quartet (with Anton Hatwich, Tim Daisy and Frank Rosaly), has been called "ever more impressive" by Lloyd Sachs of the Sun-Times, and pushes him in directions which his work as a sideman does not approach. In addition to these two groups, Rempis plays regularly with The Territory Band, The Crisis Ensemble, The Chicago Improvisers Group, and The Thread Quintet, and has worked with Paul Lytton, Axel Dörner, Hamid Drake, Fred Lonberg-Holm, Michael Zerang, Jim Baker, Kevin Drumm, Paal Nilsson-Love, Chris Jonas, Tony Buck, and Joe Morris. Since April 2002, Rempis has curated a weekly concert series of improvised music at 3030, a performance space situated in a former church in the Humboldt Park neighborhood of Chicago. With over 100 concerts and two annual festivals, the series has become an essential part of the city's improvised music scene. Pandelis Karayorgis: see bio page. Drummer Luther Gray was born March 10, 1972 in New Orleans, LA. His family moved to Washington, D.C. where, as a teenager, he started playing drums in punk rock bands. Though largely self-taught, his musical training involved drum lessons from Kim Martin, Larry Bright, Steve Bagby, and Mickey Newman. In 1995 he graduated the University of Miami with a Bachelor of Music, after which he taught privately and performed in the Washington , D.C. area with, among others, Butch Warren, Cecil Payne, Webster Young, Tsunami, Liquorice, Peter Edelman, Jenny Toomey, Bob Butta, and Buck Hill. 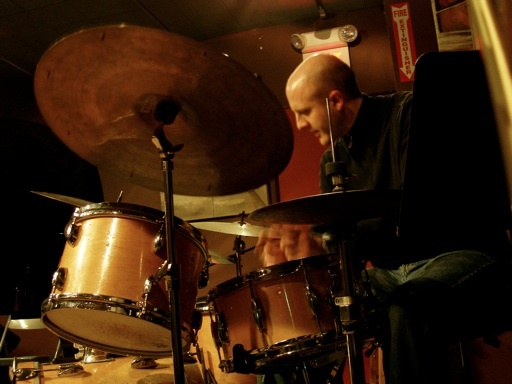 Upon moving to Boston in 2000 he resumed teaching private drum lessons and has played with Joe Morris, Anthony Braxton, Joe McPhee, Cameron Brown, Joseph Daly, Sabir Mateen, Roy Campbell, Ida, Geoff Farina, Andrew White, Rob Brown, Bill Pierce, Steve Swell, Joe Beck, Fred Anderson, Ken Vandermark and many others. Luther has performed in festivals and concerts across the country as well as in Europe. He has recorded for the Simple Machines, Hat Hut, Riti Rec, Skycap, Clean Feed, Xeng, Atavistic, and Jardis labels, among others. In addition to his performing schedule Luther teaches art and music at an after-school program for elementary school children. 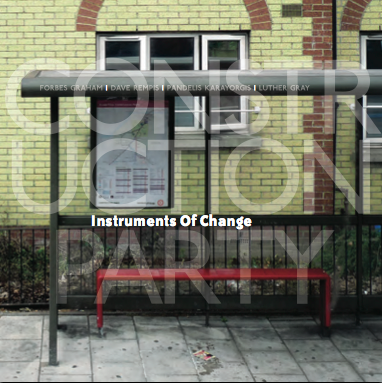 Two excerpts from upcoming release on not two records, Instruments Of Change.